Designed for the everyday gardener, this comfortable pair of gardening gloves features an orange latex palm coating and ribbed knit wrist. 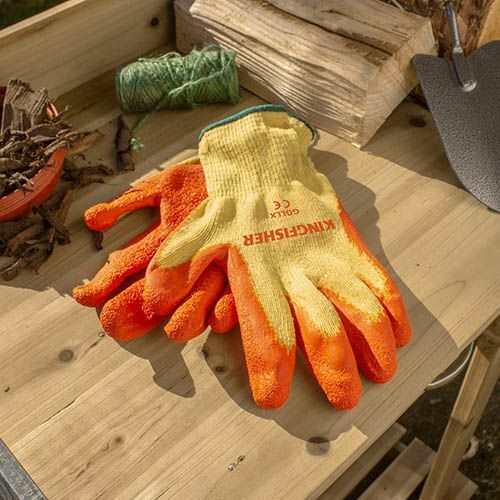 This practical glove offers great hand protection without compromising comfort and grip at an affordable price it's a great choice for general gardening work. Featuring a coated palm to increase dexterity and ventilation, the crinkle latex coating offers an excellent grip while the knitted cuff gives comfort and warmth.